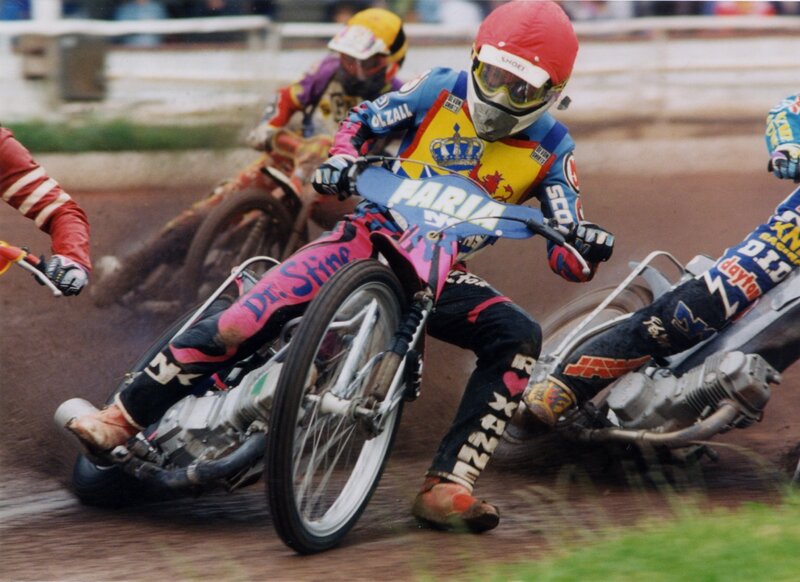 1996, the year spent racing at Shawfield as the Scottish Monarchs, was a financial disaster for us. However it wasn't a disaster as far as the racing went as we had a series of very good and competitive meetings through in the west. We had a solid side and most visiting teams came to Shawfield feeling they had a chance on the well-prepared circuit. Our star man was Mike Faria, in his second season as a Monarch and taking on the task of trying to beat the visiting stars. He didn't always manage it but it was fun watching him try. The videos from 1996 are some of the most enjoyable we have, and Faria was always worth the admission money.